Librarians are key players in bringing communities together. With the help of the Internet, they are in a position to revolutionize the way users access information and come together as a result. Indeed, libraries can function as both hubs to circulate local, national, and global information and as networks of local agencies, nonprofits, community activities, resources, events, and contacts. Building from detailed research, this forward-looking new book addresses the ways that libraries can harness the power of the Internet to provide digitized community information to local audiences. Using its proven methods, hands-on tools, and best practices developed in libraries across the country, any library can design and build a dynamic and unifying community information site. Featuring three of the nation's leading community network sites (Pittsburgh's Three Rivers Free-Net, Suburban Chicago's NorthStarNet, and Portland, Oregon's CascadeLink), expert author team Durrance and Pettigrew outline innovative ways to present information for and about your community. This well-researched, instructional guide will help you to truly create a nexus of information at your library and thereby amplify its visibility, prominence, and place in the community. Joan C. Durrance is Professor and Coordinator in the School of Information at the University of Michigan, Ann Arbor. A leading authority on community information research, she is also the author of several books including Meeting Community Needs through Job and Career Centers and Armed for Action. She received ALA's Isadore Gilbert Mudge-R.R. Bowker Award for distinguished contribution to reference librarianship. Durrance earned her master's degree in library science from the University of North Carolina and her doctorate from the University of Michigan. Karen E. Pettigrew is Assistant Professor in the Information School at the University of Washington, Seattle. 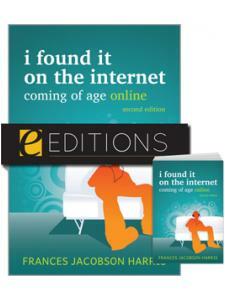 Teaching and researching in the area of human information behavior, she is an award-winning and widely published expert. Her collaboration with Joan Durrance began when she joined the University of Michigan School of Information as a Research Fellow and Lecturer in 1998-1999. She earned her master's and doctoral degrees in library and information science from the University of Western Ontario. "...especially recommended for librarians who want their academic, community corporate, or governmental library to be the best it can be in this modern information age of cyberspace, computerized data banks, and the World Wide Web." "...addresses the ways that libraries can harness the power of the Internet to provide digitized community information to local audiences. Using proven methods, hands-on tools, and best practices developed in libraries across the country, a library can design and build a dynamic and unifying community information site." 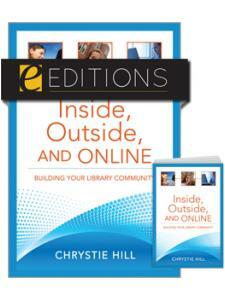 "An exciting an excellent guide for any public library developing its community information resources." 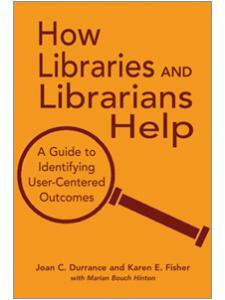 "...a useful and relevant book for all librarians involved in community librarianship." "For public librarians who are interested in developing or improving their CI networks, Online Community Information is a good place to start¡¬the best practices presented here can serve as inspiration to create your own CI services."